Underground System is a quintessential New York City band. A convergence of musical and cultural influences, the unstoppable female-fronted group of neo-afrobeat deconstructionists have cultivated a sound as inimitable as its members. Owing their foundations to traditional afrobeat (and named after a Fela Kuti song), the band has built a national reputation around a seamlessly executed stage show, astonishing wherever they go, and compelling crowds to move with unbridled verve. Robbing american “afrobeat” of its derivative formalism, Underground System continues to reinvent their brand of global dance music, remaining a force determined to recreate, redefine, and reconstruct. 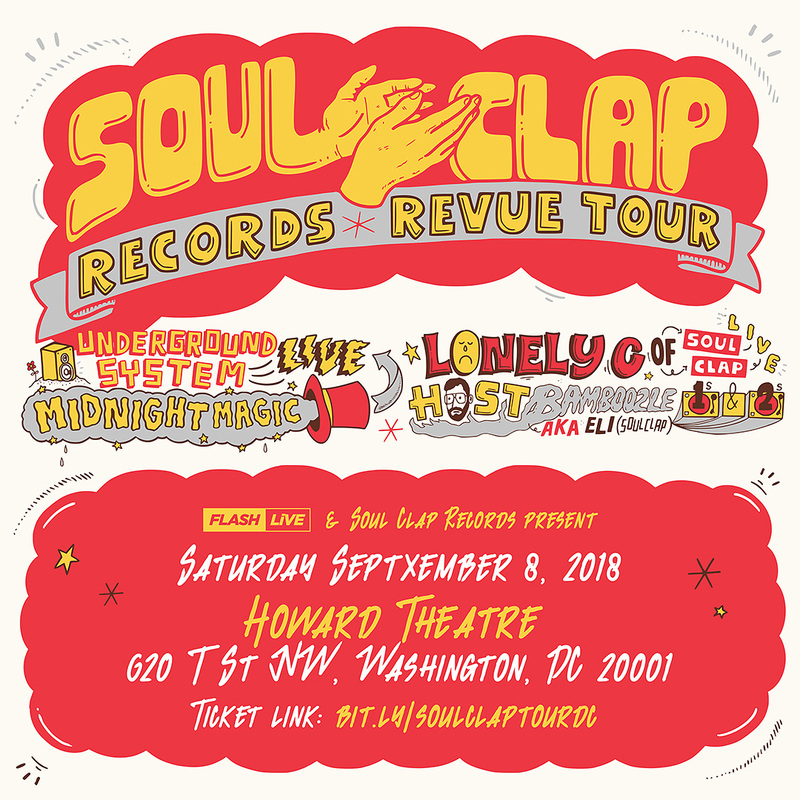 A vibrant mélange of space, afro, electro, and cosmic disco continues to dominate this eight-person dance troupe’s musical legacy and along with releasing a series of singles, EPs, and LPs the band has kept frenetically busy with remixes (for La Roux, Cut Copy, Holy Ghost!, Azari & III, Kamp! among others) as well as countless DJ sets and hi-energy performances worldwide. Lonely C is the brainchild of Charles Levine, an emotive psycho-naught who came of age during the 90’s rave days and is currently splitting a time-share on planet Earth. With 20 years of DJ experience he is most at home in the DJ booth, but that has not stopped him from taking it to the stage to sing, play keys/synths and beyond. From House music, to electro, disco, funk, soul, R&B and dub, musical eclecticism is his key to moving bodies and shaping minds.